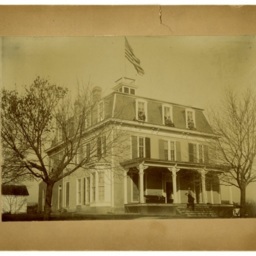 Photograph showing Massanutten Academy in Woodstock Virginia. 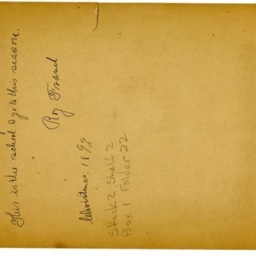 The rear of the photograph is labeled "Massanutten Academy, Woodstock Va. This is the school I go to this season Roy Fravel ______ 1899"
Today this building is Riddleberger Hall on the grounds of what is now Massanutten Military Academy which was founded in 1899. 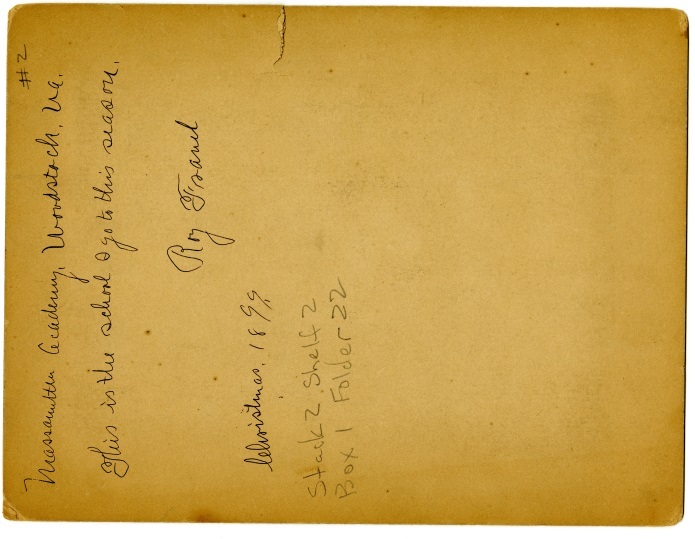 Folder 4: The Massanutten Academy, Woodstock , VA, 1910-1911, Truban Archives, Shenandoah County Library, Edinburg, Virginia. 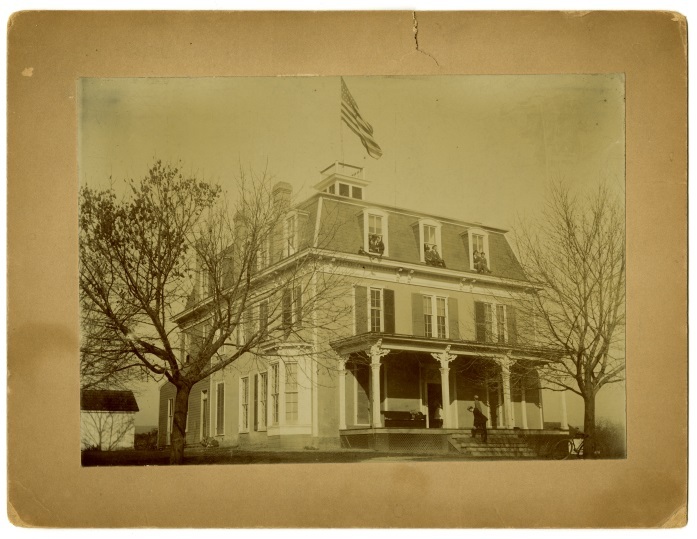 Unknown, “Massanutten Academy,” Shenandoah County Library Archives, accessed April 22, 2019, http://archives.countylib.org/items/show/11745.